Rwanda Development Board (RDB) for the first time attended the Asia’s leading ITB travel trade in Singapore from 25th to 27th October 2017 aimed at promoting tourism and wildlife conservation in Rwanda. The trade show was held at Marina Bay sanda convention Centre in Singapore and Messe Berlin was the organizer. The recent trade show was the 10th anniversary celebration for the ITB Asia and Rwanda along with other countries took part. RDB attended the show in partnership with the high commission of Rwanda in Singapore. The trade show was an opportunity for Rwanda Development Board to exhibit and reveal the unique opportunities that Rwanda offers especially the exceptional gorilla tours to Volcanoes national park, Chimpanzees in Nyungwe forest national park and Big Five game in Akagera national park. 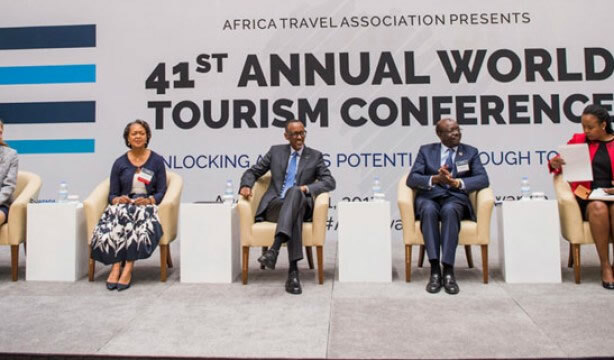 Also, the participation opened opportunities for major Asian tourism stakeholders who later expressed interests to collaborate and partner with Rwanda towards the promotion of high-end safari packages to Rwanda. Various speakers such as Lucas J Murenzi from the high commission, Khassim Bizimungu from Rwanda Development Board and Jacqui Sebageni the managing director of a thousand hills the tour operator among others addressed the trade show. 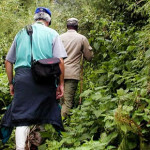 Thousand hills is one of the popular tour operators offering different travel packages all over Rwanda. Rwanda Development Board and Rwanda as a whole were recognized for the determination in promoting tourism and wildlife conservation in Rwanda’s national parks. 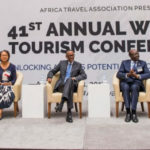 Rwanda’s tourism success has crowned the country as a leading tourism destination in Africa, which receives the highest population of travelers from all parts of the world. The success story has led to a sharp and steady increase in the numbers of visitors to Rwanda that in turn increase government revenue hence steady progress and development. 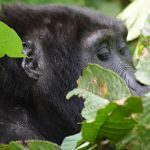 From the exhibition, Rwanda Development Board expects to boost tourism industry thereby attracting the increased number of travelers for gorilla tracking in Rwanda from Asia and Australia. The trade show was also a privilege that opened Rwanda to new emerging markets especially for the high-end travelers and meetings, incentives, conferences and event visitors to Rwanda. Most participants especially Asians showed interest in visiting the remarkable Rwanda in the near future. 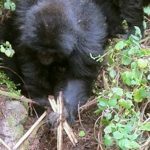 Gorilla trekking is a highlight for gorilla tourism in Rwanda. 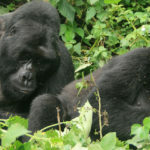 Volcanoes national park is a home to the highest population of mountain gorillas in the Virunga conservation area which hence successful and enjoyable gorilla safaris. Besides mountain gorillas, Rwanda ranks as a best destination for meetings, incentives, conferences and events where Kigali Convention center features as a leading conference center in Africa. 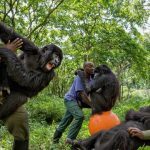 Other attractions in Rwanda include the Virunga volcanoes, Golden monkeys, Chimpanzees and canopy walk in Nyungwe forest national park not forgetting the big game in Akagera national park. 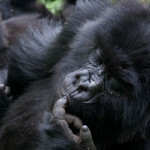 A variety of safari packages make Rwanda safaris experiences for lifetime. 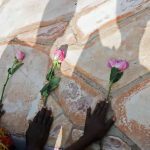 Rwanda is widely known for its beauty having the most clean and organized Kigali city, which is the cleanness and calm city in the whole Africa hence worth staying. Similarly, the trade show was an opportunity for the directors of Rwanda Development Board to establish and share business contacts with other people from all over the world who genuinely showed interest to promote and sell Rwanda as a best tourism destination. Based on people’s positive reactions about Rwanda’s tourism, there us great hope for extended turn up in the incoming tourists to Rwanda. The land of a thousand hills hopes to host more travelers from Asia and Australia compared to the past. 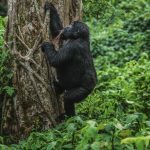 Rwanda’s tourism and conservation has been a success with the re-introduction of black rhinos and lions in Akagera national park, which have made Rwanda a country for the big game. The sharing of 10% of the total revenue from tourism with local communities has attracted community support for tourism hence development. Other countries, which attended the exhibition, include Kenya tourism board, and others in Tanzania, Botswana, South Africa, Namibia and Sudan. In conclusion therefore, Rwanda is a leading tourism destination which attract the highest population of travelers from all parts of the world on a daily basis. The increased number of travelers expected from Asia is a great hope for more developed and flourishing tourism industry in Rwanda.